For many of us, the past is like a bad dream. Our lives aren’t the same any more, but we still have fleeting, highly charged emotional memories of a really uncomfortable past. The guilt, fear, and anger that once dominated us may spill into our new life, complicating our efforts to change and grow. 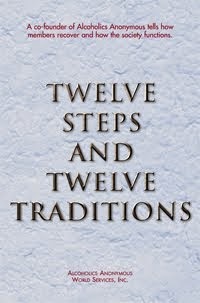 The Twelve Steps are the formula that helps us learn to put the past in its place. Through the Fourth and Fifth Steps, we become aware that our old behavior didn’t work. We ask a Higher Power to relieve us of our shortcomings in the Sixth and Seventh Steps, and we begin to be relieved of the guilt and fear that plagued us for so many years. In the Eighth and Ninth Steps, by making amends, we demonstrate to others that our lives are changing. We are no longer controlled by the past. Once the past loses its control over us, we are free to find new ways to live, ways that reflect who we truly are. Just for today: I don’t have to be controlled by my past. I will live this new day as the new person I am becoming. 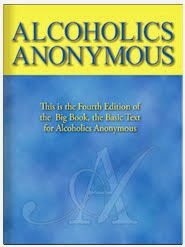 © 1991 by Narcotics Anonymous World Services Inc.